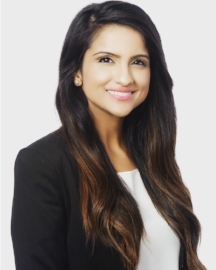 Ms. Grewal graduated Order of the Coif with Great Distinction from McGeorge School of Law in 2017, where she was on the Dean’s Honor List all three years. Ms. Grewal is a member of the Traynor Honor Society as well as the Phi Kappa Phi National Honor Society. She received a Witkin award in Criminal Law and received “Top Oral Advocate” in the McGeorge Global Lawyering Skills competition, which consisted of the entire class.